Imagine waking up with yoga, participating in workshops about health and benefits, listening to motivational talks from inspiring speakers, conversing with Thai Buddhist monks and refreshing your mind in relaxing meditation sessions. Are you excited? 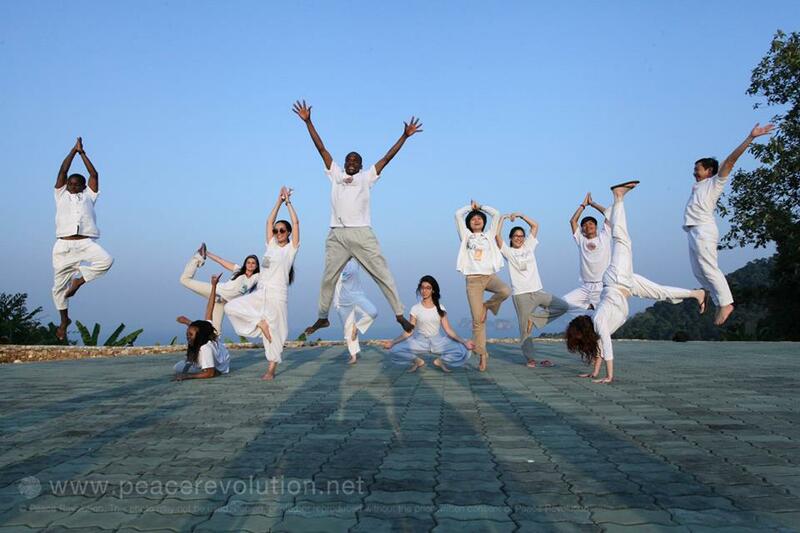 Join these and other activities in the SEE Peace Summit in Tirana, Albania taking place from December 15 to 18 at the Hotel Continental, and begin your journey of a change. The summit will focus on three thematic areas – empowerment, personal development, and success – thus inviting everyone to value their inner potential on the way to be the change that they want to see. By bringing together around 120 young European leaders, the summit will offer an interactive platform where to exchange experiences, create ideas and strengthen a network of young peace builders. With the variety of activities, it will not only be a unique conference and retreat format; it will introduce the participants with the tools for nonviolent communication, personal development, peace education and peacebuilding that can be applied to all cultures, religions, and professions. Through mindfulness, self-discipline and compassion participants will learn about the inner peace, a tool that can help them strengthen their leadership skills and place them in a meaningful work environment. Moreover, a Meditation Clinic will be organized throughout the entire event. It will be a unique opportunity to interact with two Thai Buddhist monks – Venerable John Paramai Dhanissaro and Venerable Pasura Dhantamano – to talk about a variety of subjects: how to let go pain; how to balance daily responsibilities and enjoy life; how to become more creative or how to find one’s life mission. This opportunity will allow participants to learn from the wisdom of Buddhist monks and apply these lessons in their own life situations. SEE Peace Summit is open to individuals active in peacebuilding events and projects at a local, regional and international level, as well as for non-formal groups interested in the topic. We are looking forward to meeting open-minded and positive young people who are searching for the right tools to cultivate inner peace and mindfulness in their daily life. There is no age limit to apply for the summit (an applicant needs to be at least 18 years old). In order to apply, please visit the SEE Peace Summit website. The deadline to apply is 1st of November (for Early Bird prices). SEE Peace Summit is organized by the World Peace Initiative Foundation which is an international organization that promotes the culture of peace through a practice of mindfulness and meditation. The first European Peace Summit was organized in Budapest in April 2016 and brought together over 100 young Europeans.